Heshima offers physical, occupational and speech therapy. Each child that comes to our center has needs in all these areas. We believe that the body and the mind work together and these kids deserve attention to both. 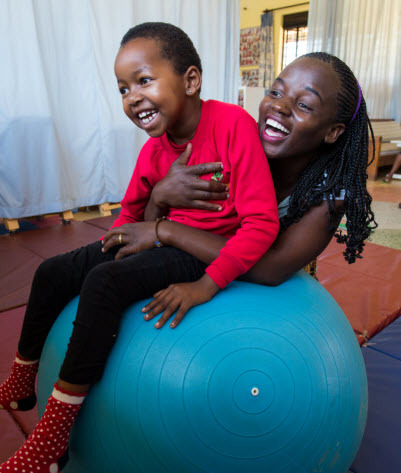 Each child receives occupational and physical therapy three times per week. We also have a speech therapist who comes to the center twice per week to attend to each child. We have seen great results from the therapy sessions, especially in our kids that have cerebral palsy. We also offer horse riding therapy sessions to the kids once a week.This is their favorite day of the week. Horse riding strengthens their core and helps their balance and coordination as well. Physical contact with the animals is wonderful for their sense of touch and helps them with their body awareness. 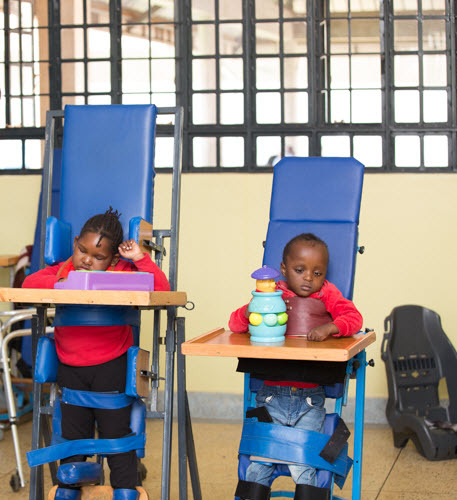 Pictured above are two of our children on standing frames during a therapy session to strengthen their lower limbs. All our children at Heshima have speech and feeding issues. Often children with special needs do not communicate well due to delayed development and poor muscle coordination. Speech therapy can not only help with verbal communication but also help with swallowing and chewing problems. 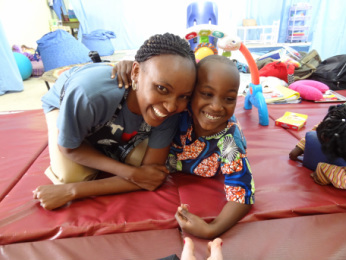 The children receive physical therapy three times a week. We have a special room that has equipment to help strengthen the children's muscles and their coordination. Many of our children have cerebral palsy and this causes severe muscular issues. Physiotherapy makes life easier for these kids. We welcome any volunteer therapists to our center at any time. Please contact us if you are interested in coming to Heshima. Occupational therapy works to improve fine motor skills: writing, shoe tying, zipping, eating and the list goes on. Our children at Heshima usually are delayed in all of these areas due to poor muscle coordination and developmental delays. Occupational therapy can be very fun for the kids because we use toys, puzzles and other creative interaction during the therapy sessions. Below are some additional pictures showing some of the services offered to children that come to Heshima Children's Center. Heshima offers medical clinics to the children and their families. Some of the problems the children face are: ringworm, malaria, lung infections and problems from poor diet and hygiene. We work with local doctors and nurses as well as visiting doctors and nurses. Many of our kids are on medications and the medical team helps us monitor doses. Many times throughout the year, Heshima brings a doctor to the center to perform on-site assessments of the children. Mothers of the children can also bring other family members (any other children they might have that are not enrolled at Heshima) to receive a free check-up. In the last five years, we have had four kids undergo surgery for their legs. These children either had clubbed feet or short achilles tendons. They are now learning to walk with the help of our therapists. It is very exciting to be part of these miracles. Please let us know if you want to donate toward these surgeries. 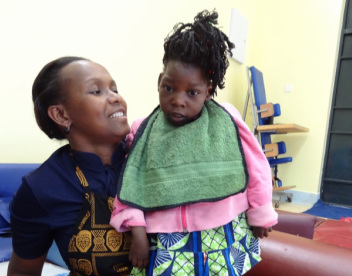 We try to provide dental assistance for our children, their mothers and our staff. It is hard to find a local dentists that will volunteer their time. We are always looking for dental professionals to work with our kids.